Guimaraes is a charming and historic city that makes for a fascinating day trip and it is regarded as the birth place of Portugal and this extensive history is reflected in the variety of national monuments and historic buildings found within the city. The number of important of historic monuments was recognised by UNESCO who declared the city a World heritage site in 2001. Guimaraes is more than just a historic relic; there is a buzz and purpose about the city, in part due to the large student population who attend the university. The city still has a harmonious, well-preserved heritage that is evident in the graceful iron verandas, granite balconies and porticos, mansions, arches connecting the narrow streets, paving slabs smoothed by time, towers and cloisters. 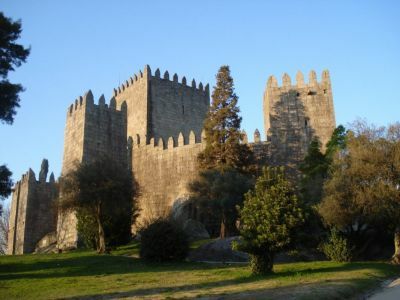 For a moment you might imagine yourself to be in a mediaeval setting, where the nobility built their houses over time, such as the Castle of Guimaraes or Paço dos Duques de Bragança, and the many others that give Guimaraes its unique atmosphere. Starting off with a city tour and the Historic centre.